We've answered some common questions below, but if you need any additional information please get in touch. 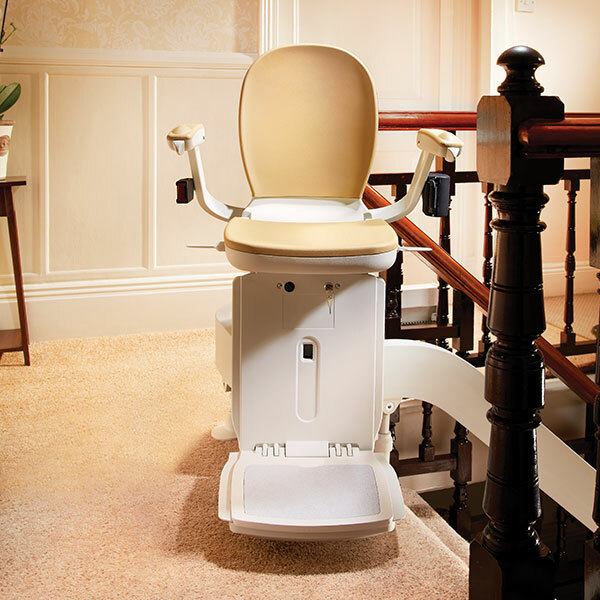 We always conduct a full technical survey prior to offering any stairlift package so you can rest assured it will be suitable for your stairs. 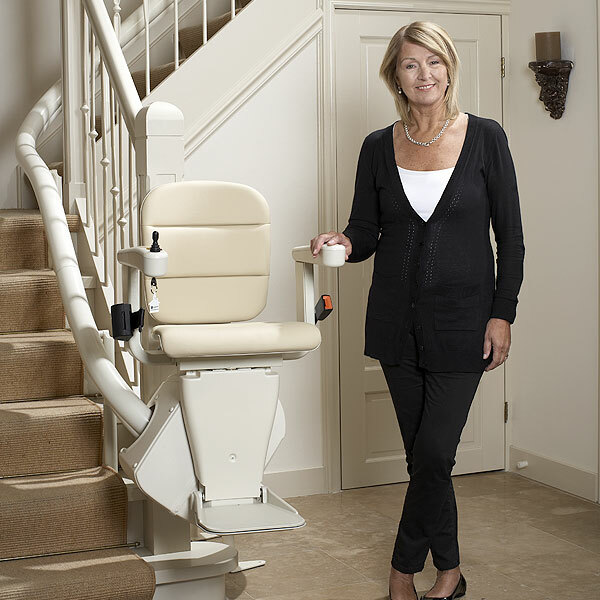 We offer straight and curved stairlifts that are bespoke to your stairs. Yes. All stairlifts have to conform to British and European Standards, all have multiple safety features and all the motor and gear mechanisms are fully enclosed. In most cases installation will only take a few hours, so it can be fully operational the same day as we come to install. Stairlifts are low powered appliances and are extremely economical to run. Does it work in a power cut? Yes. It has an internal battery that will allow for normal operation during a power cut. Once the mains comes back on it will then fully charge up again. How fast does a stairlift travel? Typical travel is about 1 stair every 2 seconds so the ride is very gentle and smooth. Can I share my stairlift with my partner? Yes. Stairlifts have remote call buttons at the top and bottom of the stairs so if the stairlift has been left at one end by your partner and you are at the other end then you can use the remote to call the stairlift to you. How do I prevent the grandchildren from playing on it? All stairlifts have on/off features and removable keys to prevent their use in such circumstances. If installed by manufacturer approved engineers (all Westwood Stairlifts engineers are fully approved) we recommend just one annual service. There is no day to day maintenance required at all. Is there a safe weight limit for the stairlift? All models have a maximum load and it is important to never exceed this. Most standard models can carry up to about 19 stone (120kg), although there are stairlifts that can carry up to 30 stone (200kg). In most cases our customers do not pay VAT on stairlift services, as they are VAT exempt through chronic illness or disability. When we visit you we can discuss this and provide guidance on the simple exemption process. Any prices quoted on the website exclude VAT.